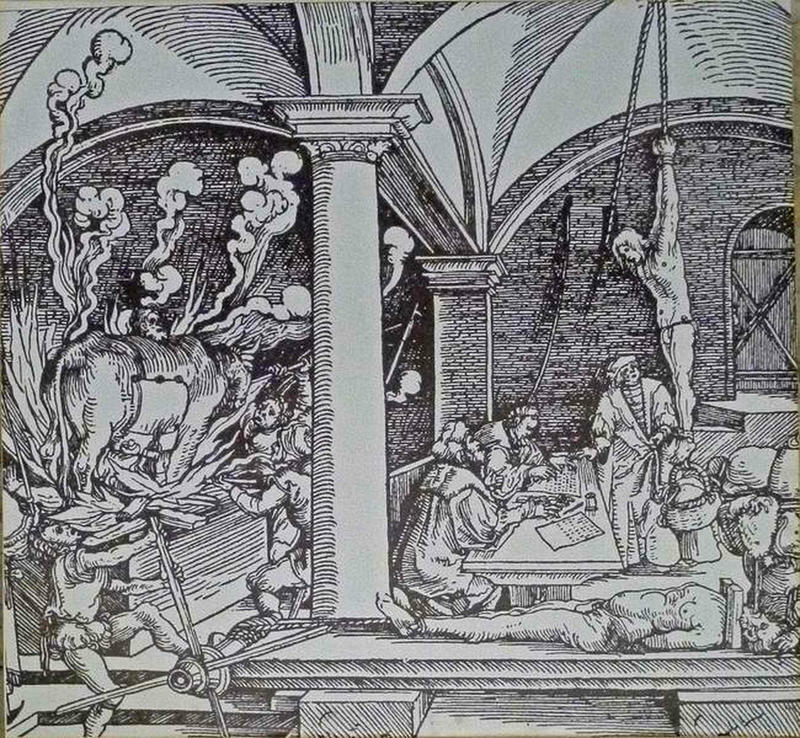 There have been all forms of horrible torture and execution methods throughout history. One of the most brutal yet strangely elegant methods of execution in ancient Greece came in the form of artful statues. While these statues may appear to be elegantly sculpted bronze bulls, they were actually murder machines, lethal as the man who commissioned them. 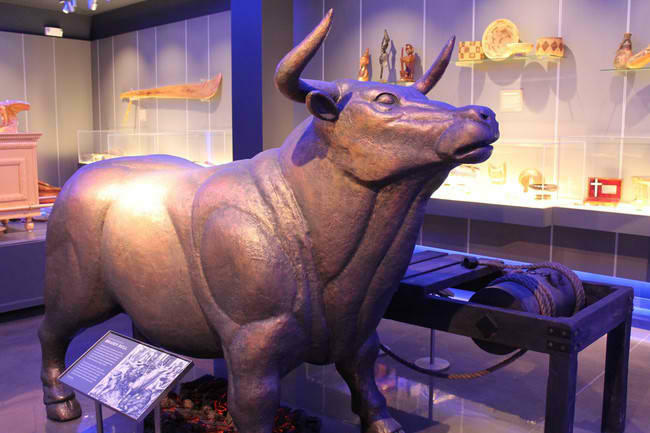 The brazen bull was invented by Perillos of Athens somewhere between 570 and 554 BC. The bull came to be during the reign of Phalaris, tyrant of Acragas, Sicily, who commissioned the torture device. The bull was designed to be hollow with a fire underneath. Victims would be out inside and a fire would be lit underneath. 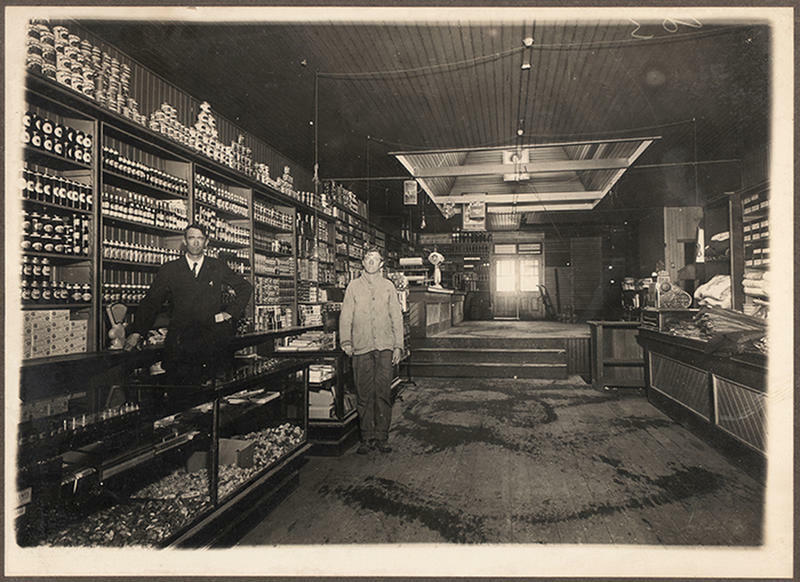 The smoke escaped through the bull's nose, which was packed with incense to combat the stench of burning flesh. The device was believed to be fitted with tubes that distorted the sound of the victim's screams and made them sound like the bellowing of a bull. When the burning was done, the bones were made into bracelets, which Phalaris often wore. 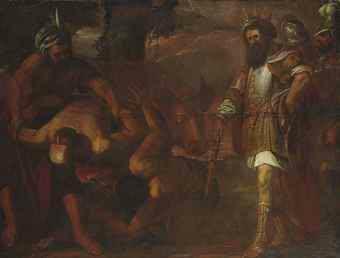 To test how the device would sound, Phalaris pushed Perillos into the brazen bull and lit the fire. Phalaris freed the inventor from the bull before he died. But proceeded to kill him by throwing him down a steep hill. 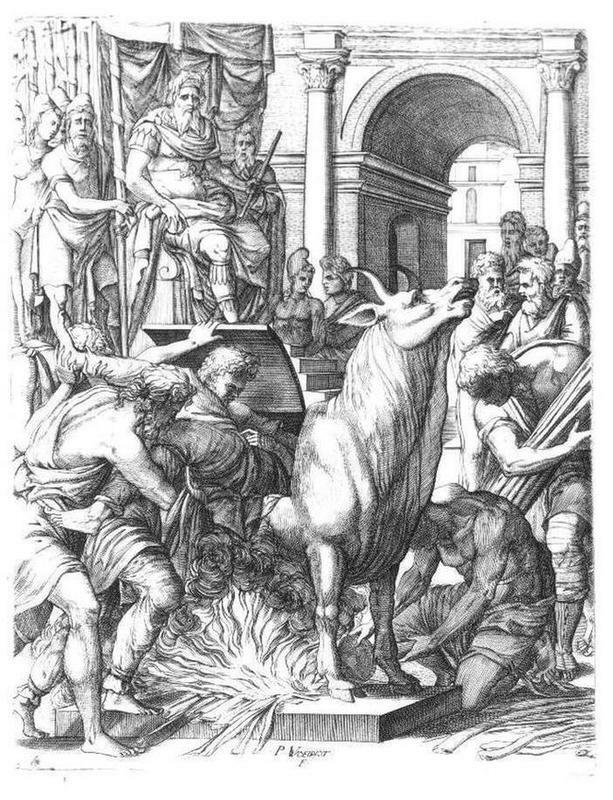 In the end, Phalaris himself was roasted inside the brazen bull when the city was overthrown by Telemachus in 554 BC. 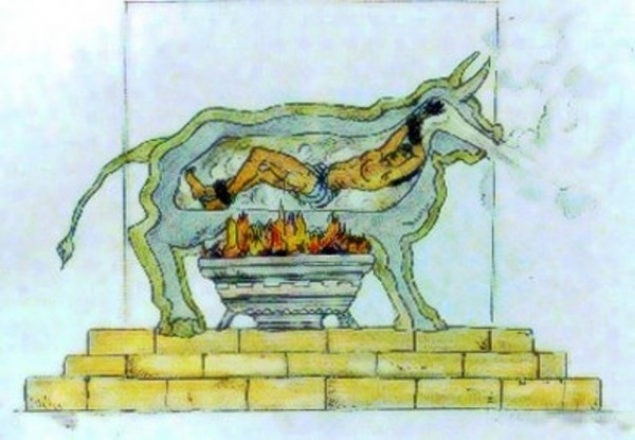 The Romans adopted the brazen bull from the Greeks and used it to torture Christians. 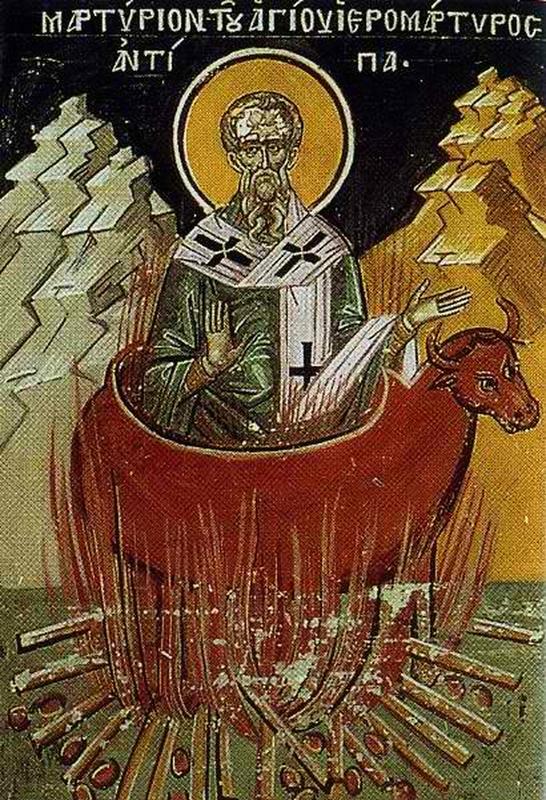 Some famous Christians rumored to have been killed by brazen bulls include Saint Antipas and Saint Eustace.